As seen on TV (Sports Time Ohio, MA Outdoors, Helmets Off Cleveland Brown’s Show). 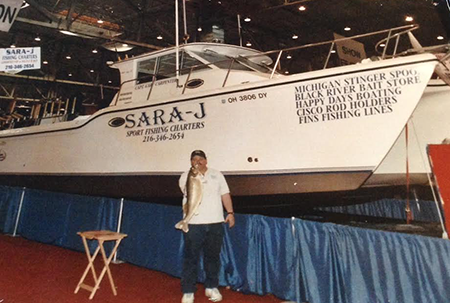 Sara J operates 3 tournament winning 34′ King Cat Catamarans. We dock our 14,000 lbs. 900HP 50MPH Cats in Port Clinton, Lorain (main dock), Geneva and the Cleveland area of Ohio. KING CAT boats for your comfort! 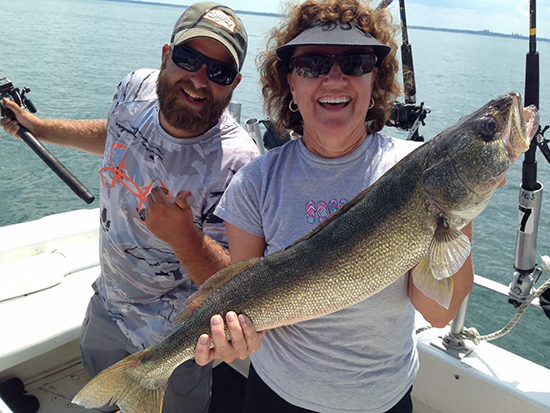 We move from west to east as the water warms fishing for Walleye, Steelhead, Smallmouth Bass and Perch charters start as low as $115 (based on 6 people). 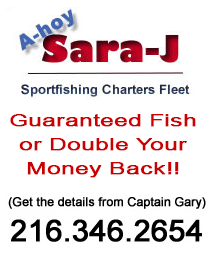 Sara J even has 1 or 2 person walk-on specials for small groups on the weekends (pre-arranged). Call Captain Gary for today’s special 2 person walk-on rate.